Through theatre, we will understand that we are all part of a community where theatre has the power to change lives both on and offstage. Through theatre, we will learn to collaborate with others and contribute as an ensemble within the creative process. Through theatre, we will develop our skills as communicators and story-tellers while celebrating the talents and creative expressions in one another. Through theatre, we will analyze expressions of art and the choices involved in such expressions; and we will connect with diverse ideas and people whose experiences may differ from our own and who may be separated from us by time, space, or culture. Through theatre, we will discover and prepare for the range of theatrical opportunities, professions, and challenges that await us beyond The Riverside Education Program. Through theatre, we will ﻿respect the ways physical, emotional, and intellectual well-being can contribute to a balanced life. LEARN MORE ABOUT THE RIVERSIDE THEATRE EDUCATIONAL ACHIEVEMENTS IN OUR 2017-2018 OUTREACH REPORT. The Riverside Children's Theatre scholarship program provides financial assistance to qualifying students. To apply, please download and submit the form to the Box Office or Education office. Scholarships must be pre-approved before class begins. Please complete this form prior to student's first day of class/camp. Whether your interest is in Singing, Acting, Dancing, Directing, or even Technical, our instructors provide a performing arts curriculum designed to educate and spark creativity in all the students enrolled at Riverside Theatre. Kevin has enjoyed teaching and directing students of all ages since graduating from Shenandoah Conservatory with a BFA in Theatre for Youth. He has directed and taught at The Growing Stage in Virginia, and for six years was the head of the theatre department at Triton Regional High School in Byfield, MA where he created curriculum and developed new classes. He also co-founded HarleQuyn Theatre to offer affordable classes and shows to local schools. Kevin was a recipient of the 2012 Freddie G Teaching Fellowship, an honor bestowed by Freddie Gershon, CEO of Music Theatre International (MTI). 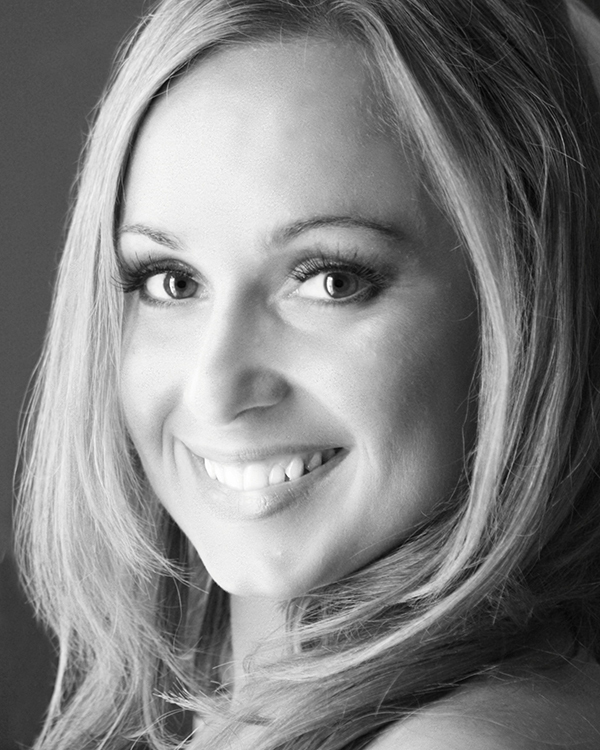 Debbie is a vocal coach, director, choreographer, and teacher. She is a graduate of Shenandoah University with a BM Performance in Voice. Most recently, she was music director for Disney’s The Lion King, Little Mermaid Jr., and Schoolhouse Rock LIVE! She teaches music in St. Lucie County. She also taught, choreographed and directed shows for HarleQuyn Theatre and Triton Regional High School in Massachusetts. Anne is a pianist, music director, and vocal coach. She graduated from the Cincinnati College Conservatory of Music with a Bachelor’s of Music in Piano Performance, where she also studied for an MM in Accompanying. She has played, conducted, and music directed on Broadway, numerous national tours, and regional theaters. Anne has taught piano, choir, and musical theatre voice both privately and in primary and secondary schools. Adam has been teaching both dance and theater for over a decade and is a sought after master teacher throughout the country. Since moving to Vero Beach in the fall of 2009 he has served as director of dance for Riverside Children’s Theatre. In December 2010, his The Nutcracker: In Swingtime! premiered at RCT to sold out audiences and critical acclaim. Adam created The Riverside Dance Festival, a program designed to pair the working dance artists of today with the aspiring dancers of tomorrow. Mr. Schnell is also the Founding Artistic Director of Ballet Vero Beach. Suzanne’s professional career began as a “baby ballerina” on CBS television’s “Jackie Gleason Show. She appeared on stages throughout Asia, South America, and Europe, before retiring to open a dance studio in the San Francisco Bay Area, with her mother Sabina, a highly regarded dance educator of young children. Suzanne’s 30+ years teaching dance includes serving as the ballet instructor for Cirque du Soleil in Las Vegas. She is currently the owner of Choozi Entertainment, creators of the first ever aquatic spectacular at sea, as well as theatrical entertainments throughout the world. Mia’s passion for dance started as a child in London, England, taking examinations with the I.S.T.D. and performing at grand theatres such as the London Palladium. After immigrating to the U.S. in her teens, Mia’s dance world went from a strict syllabus to a traveling, competitive scene. Aside from dance, Mia has worked in the health and fitness industry. Mia managed LA Fitness health clubs, and obtained her license in facial aesthetics and acupressure. Mia feels that her vast exposure to cultures and styles, and her professional dance career, has enabled her to show students a well-rounded perspective on movement. Camilo began his ballet training at Ballets de San Juan and Ballet Concierto de Puerto Rico. He continued his training on full scholarship in New York City at the prestigious Joffrey Ballet School. He excels in the teaching of Ballet and Modern technique and is also a well respected certified Pilates Instructor. Mr. Rodriguez also serves as ballet master for Ballet Vero Beach. Tara performed as a Radio City Rockette for seven years in the Radio City Christmas Spectacular in NYC, appeared on commercials and special events including a Presidential Inauguration. She has performance experience in Musical Theatre through Summer Stock, College & Community theatre. A Graduate from Wagner College in New York with a BA in Theatre and Speech, she continues to share her love for dance as a dance educator teaching various styles and age groups. In conjunction with the productions on the Riverside Theatre stages, professional actors, directors, and designers will participate in classes and workshops with Riverside Theatre students to further develop their creative skills and give insight into the life of a productive artisan. Theo is from Vero Beach Florida and graduated from Florida State University with a B.A. in Theatre and Political Science. Some of his favorite credits include Avenue Q (Trekkie Monster), And Then There Were None (Lombard), Little Shop of Horrors (Mr. Mushnik), and The Fantasticks (El Gallo). After growing up learning from Riverside Theatre he is thrilled to return as a Performance Apprentice. Ben is from Gulf Shores, Alabama and a recent musical theatre graduate from the University of Alabama at Birmingham. Some of his favorite credits include Hairspray (Corny Collins), A Little Night Music (Henrik), Spring Awakening (Ernst), A Midsummer Night’s Dream (Lysander), and Avenue Q (Princeton). He is excited to be working with Riverside Theatre as a Performance Apprentice! Sofia is a Performance Apprentice at Riverside Theatre. She graduated in May 2018 with her BFA in Theatre Performance from Belmont University. She most recently performed as O.G Howland in Men on Boats with Actors Bridge Ensemble in Nashville, TN. Other credits include Catherine Wolfe Donohue in These Shining Lives (Belmont University) and Julius Caesar in Julius Caesar (Belmont University). She is thrilled to be spending this next year in Vero Beach. Today is a beautiful day to make art! Lily is thrilled to be back home on The Treasure Coast as a Performance Apprentice with Riverside Theatre! Previous credits include: REGIONAL: The Keegan Theatre: The Bridges of Madison County (Carolyn); Pioneer Playhouse: Drinking Habits (Sister Mary Catherine), World Premiere of Guarded (Elena). EDUCATIONAL: Equus (Dora), Picnic (Christine). Lily graduated this past May from James Madison University with a BA in Theatre Performance. She would like to thank Kevin for this opportunity, and give a major shoutout to Mom, Dad, Hannah, Canaan, and Sailor for their endless love and encouragement. lily-warner.com.